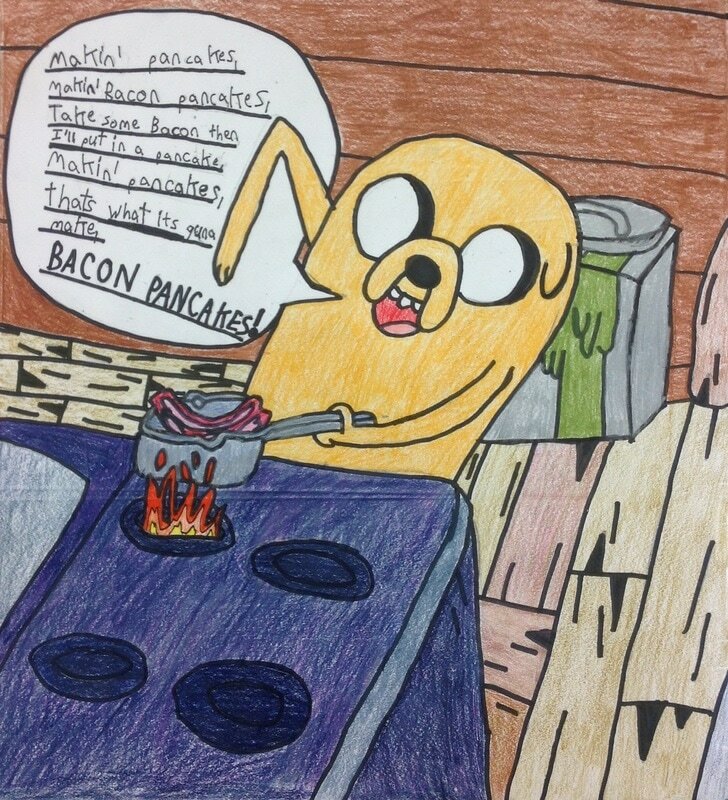 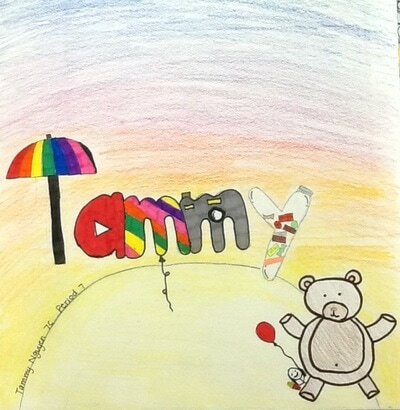 Portfolios are used to collect and hold each student's artwork. 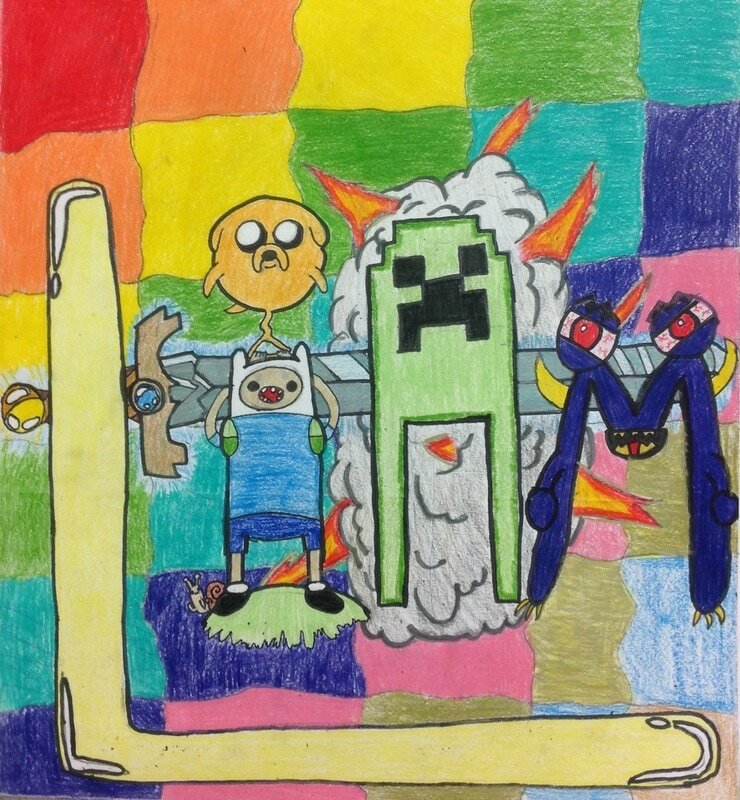 So why not turn them into ART?! 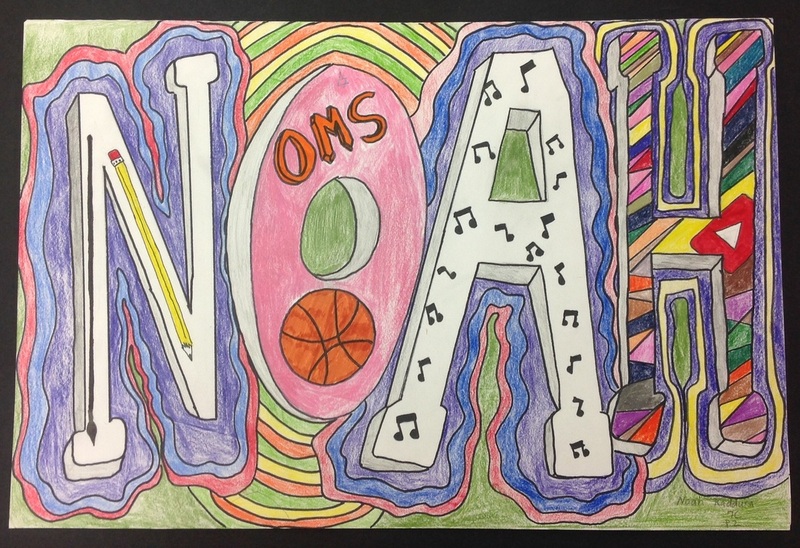 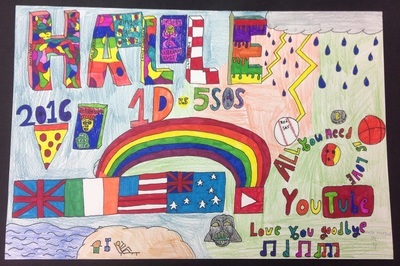 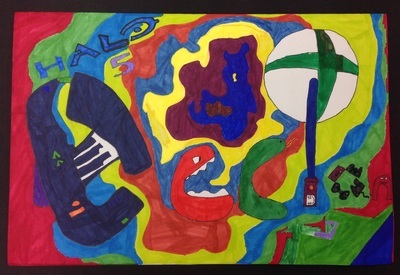 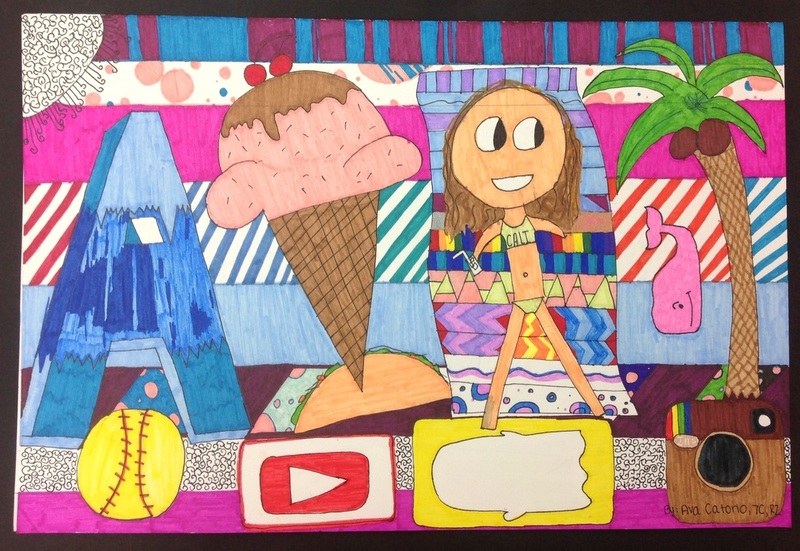 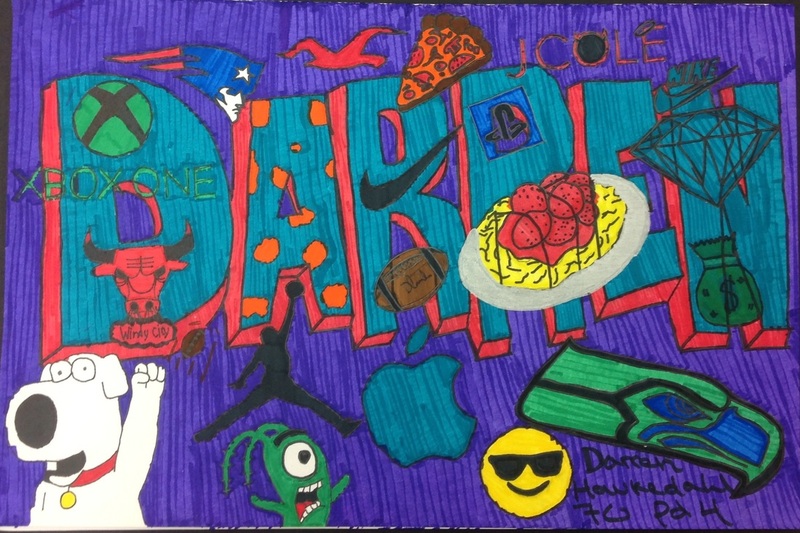 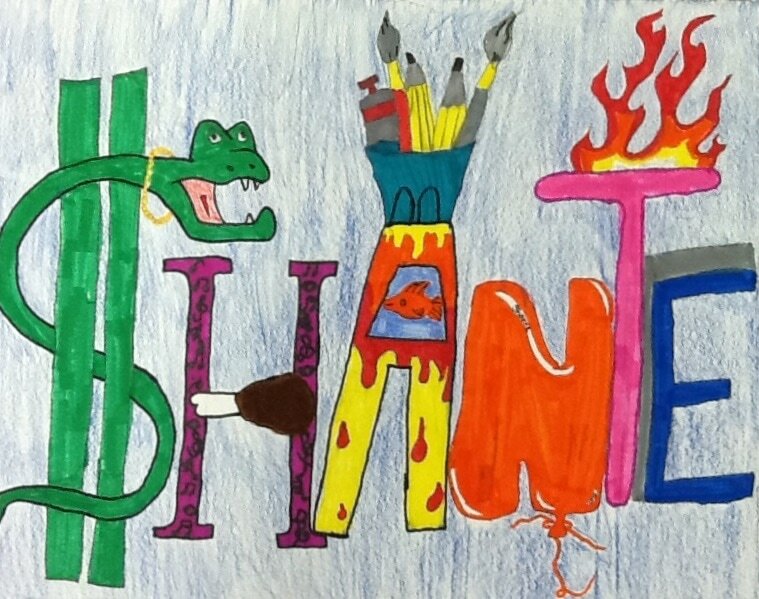 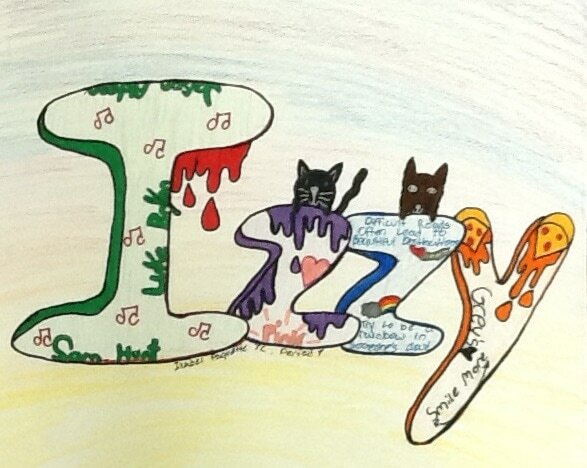 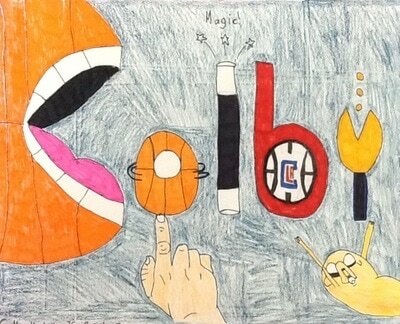 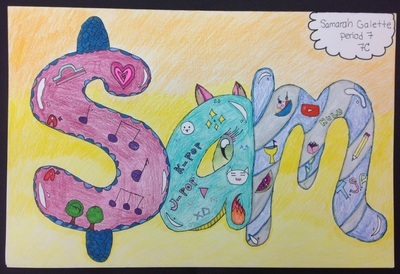 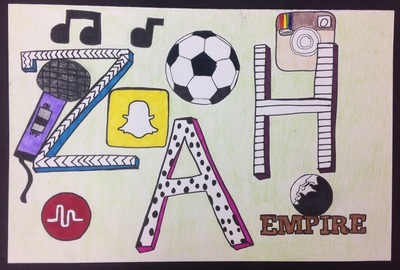 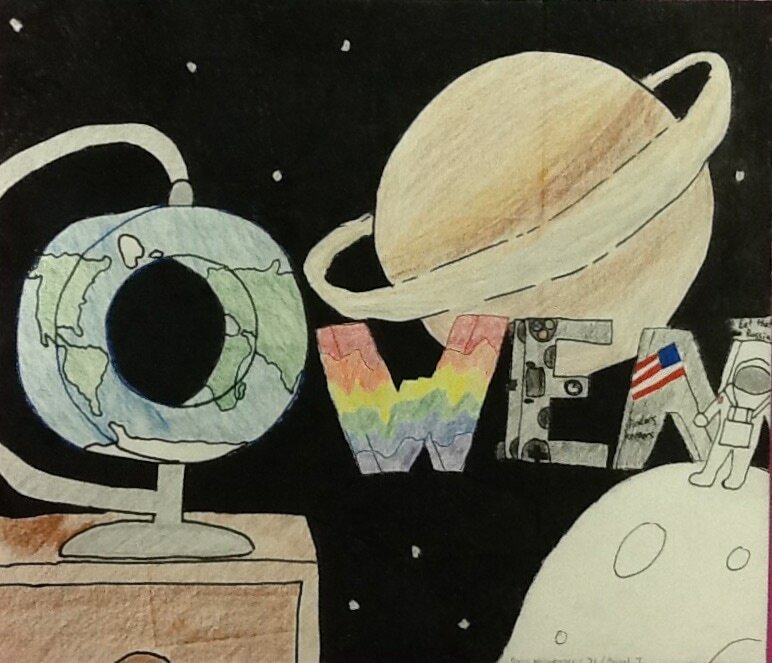 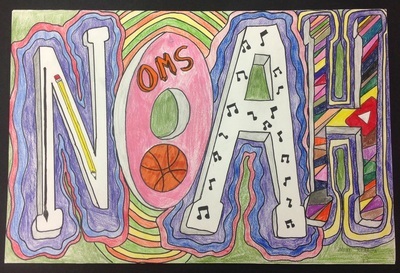 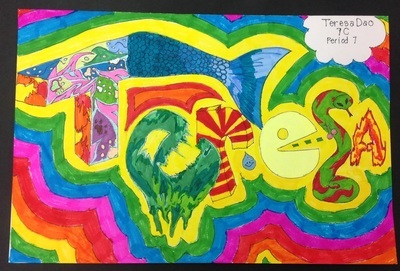 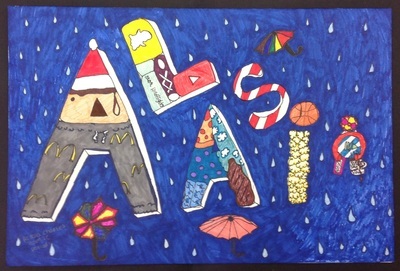 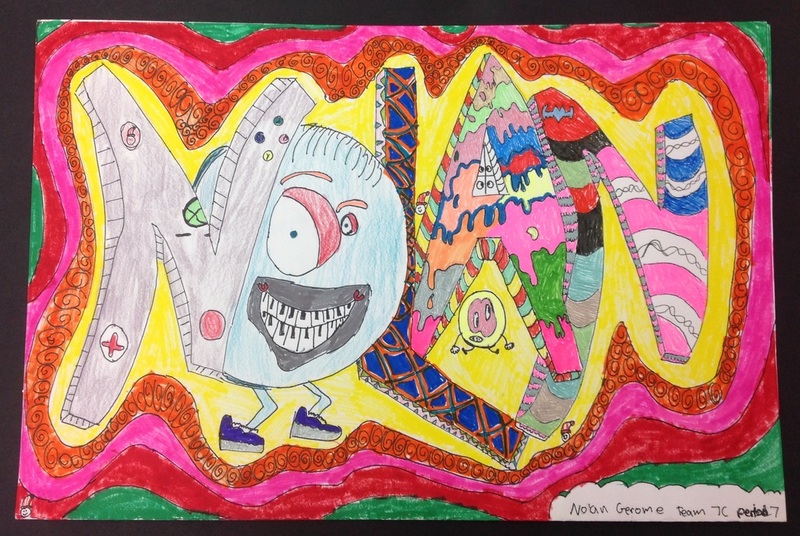 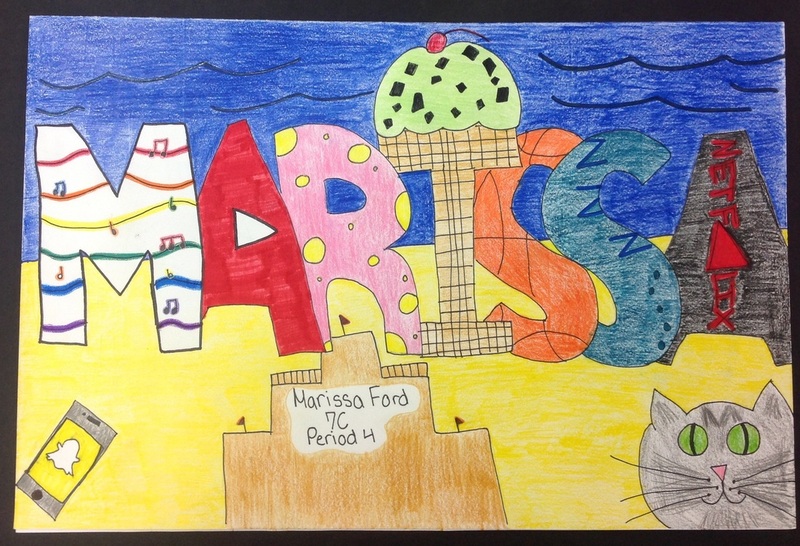 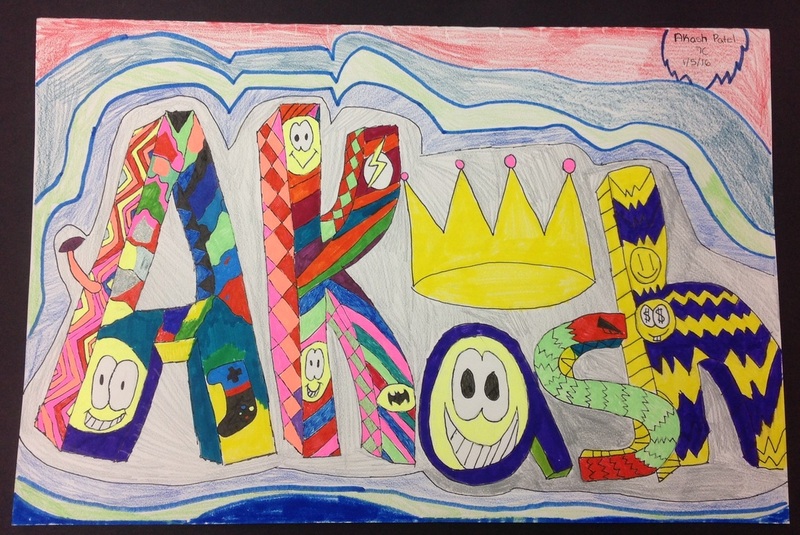 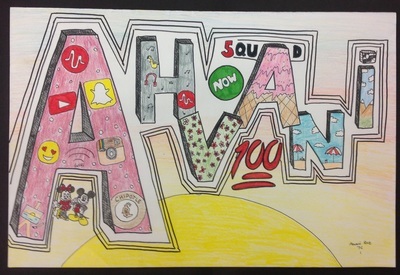 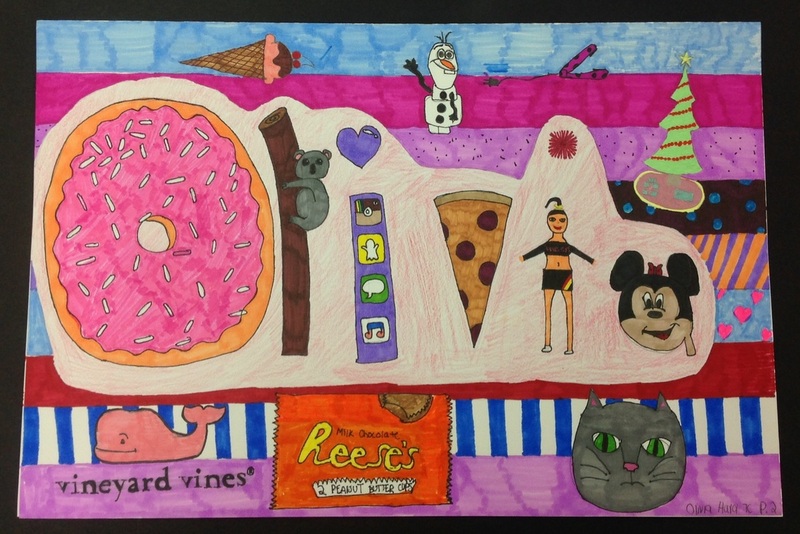 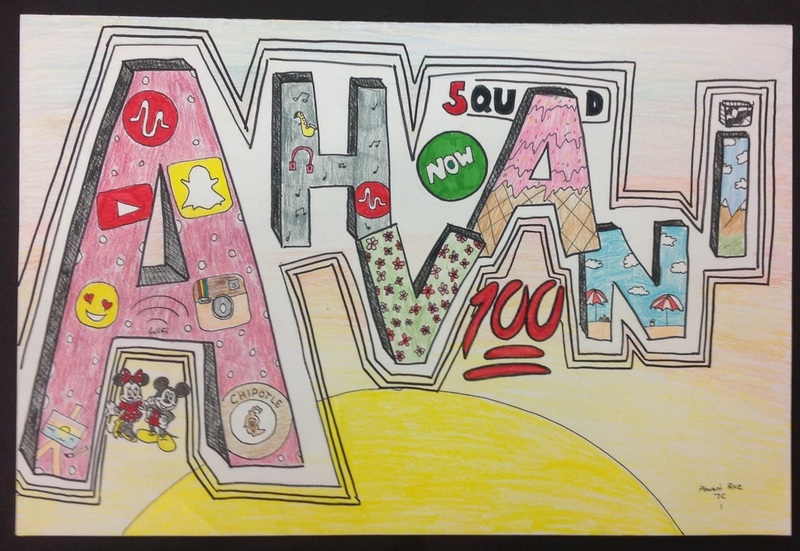 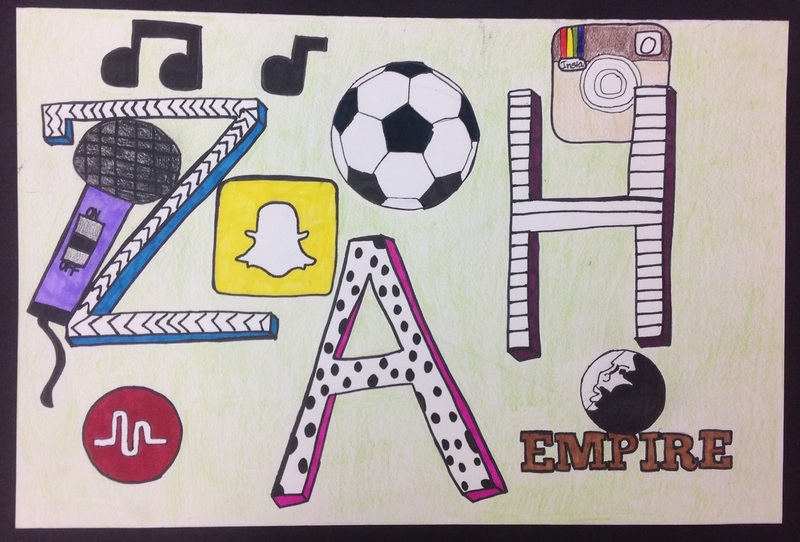 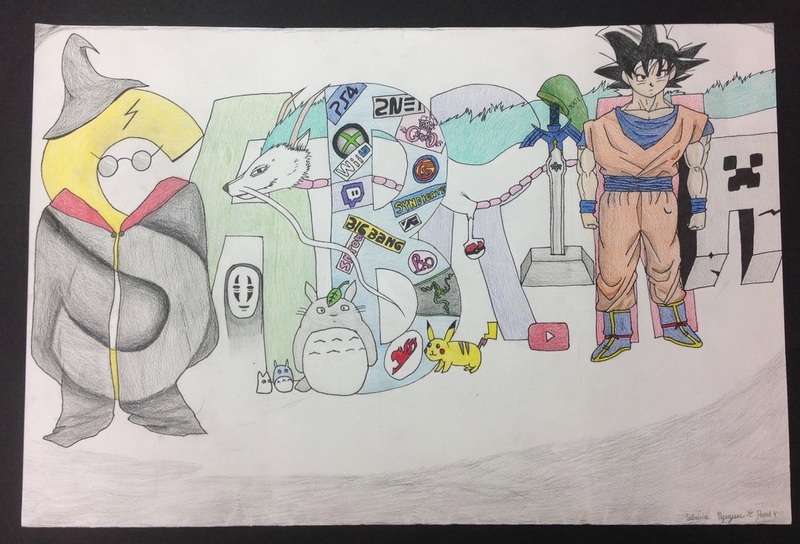 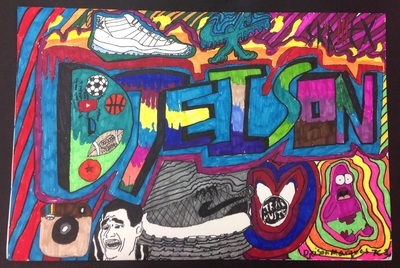 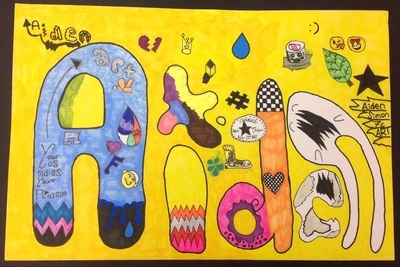 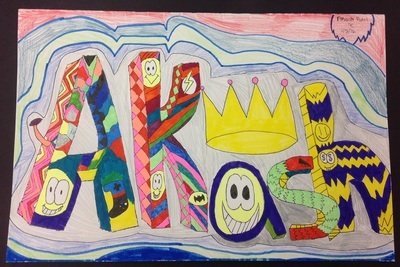 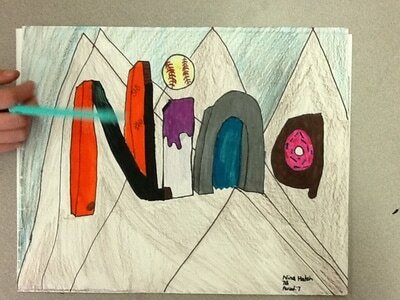 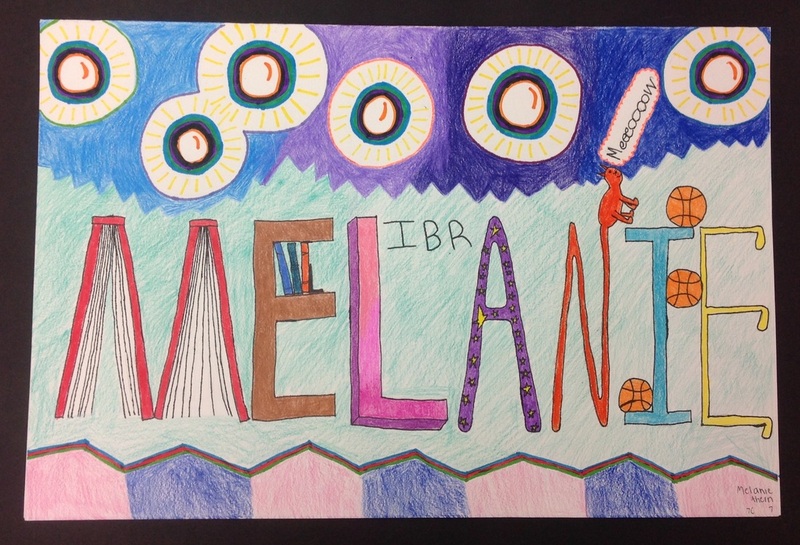 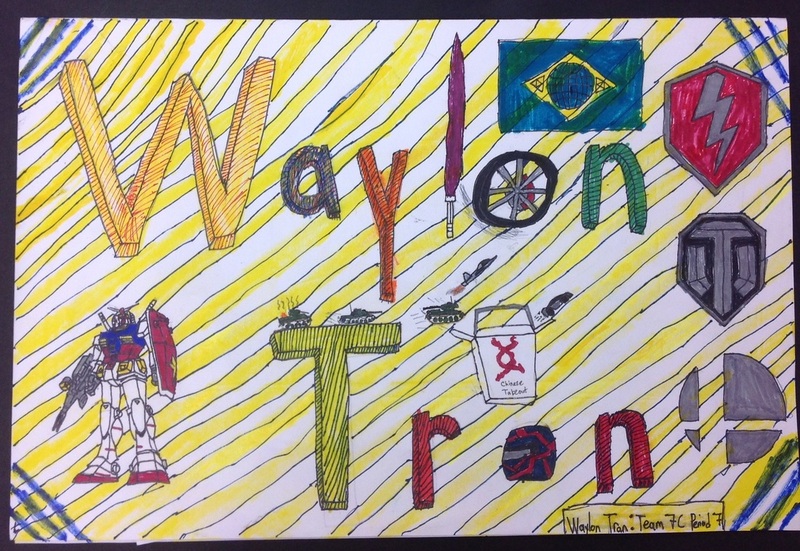 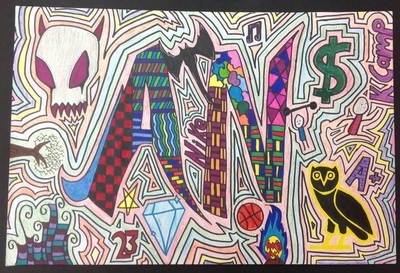 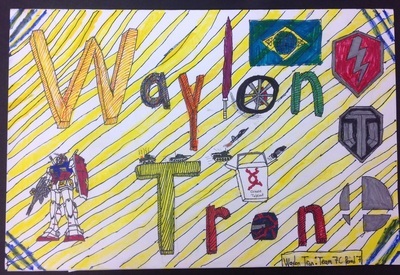 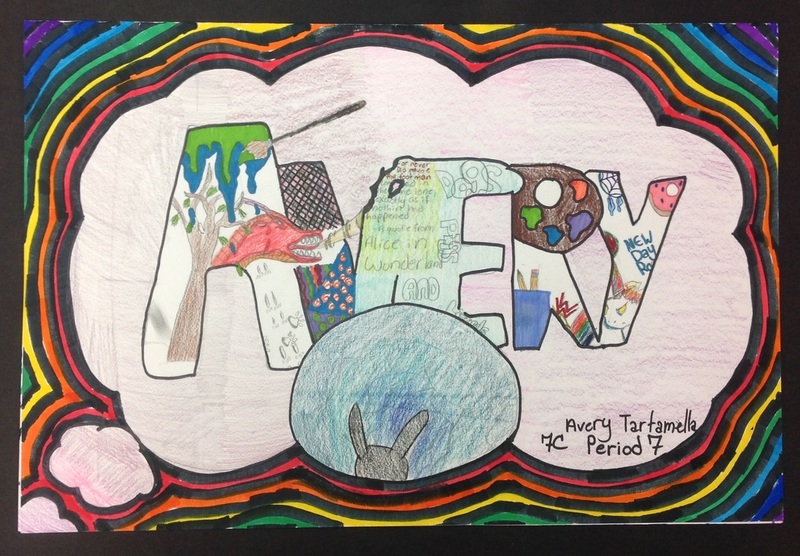 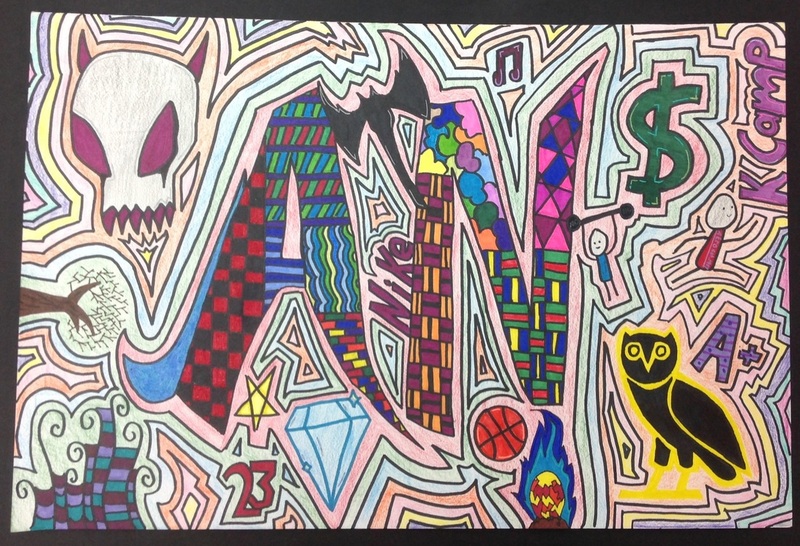 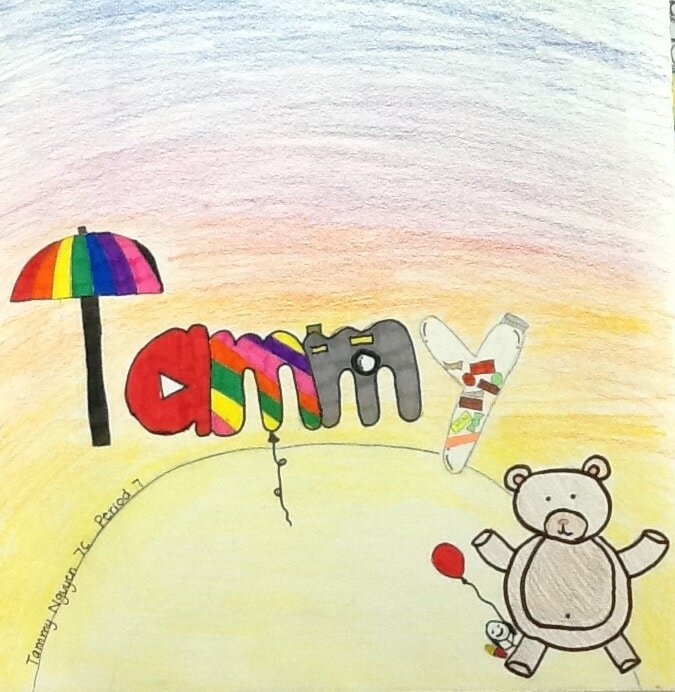 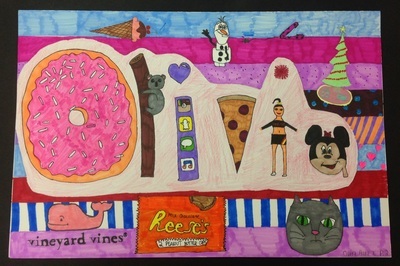 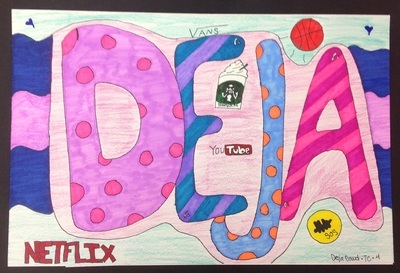 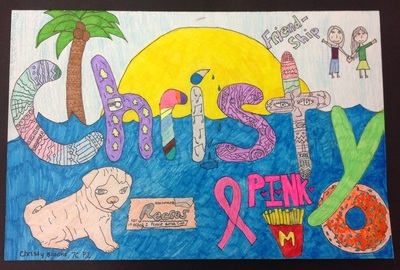 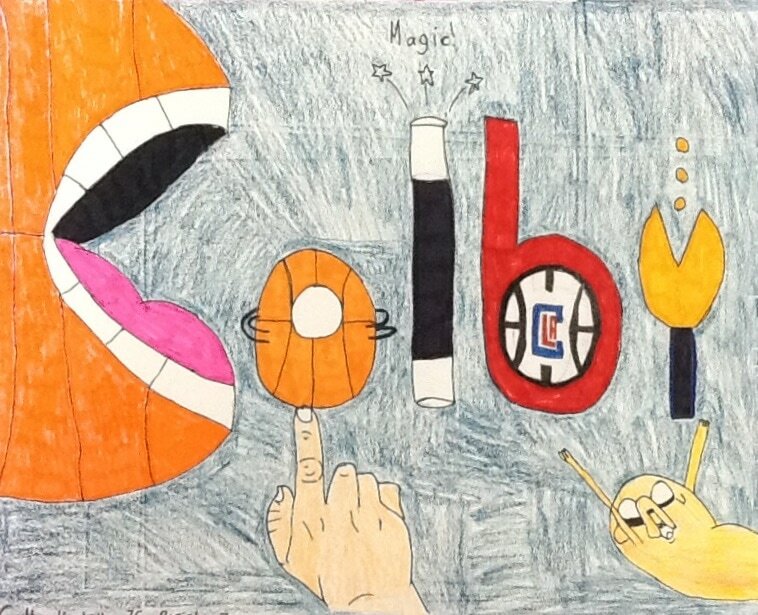 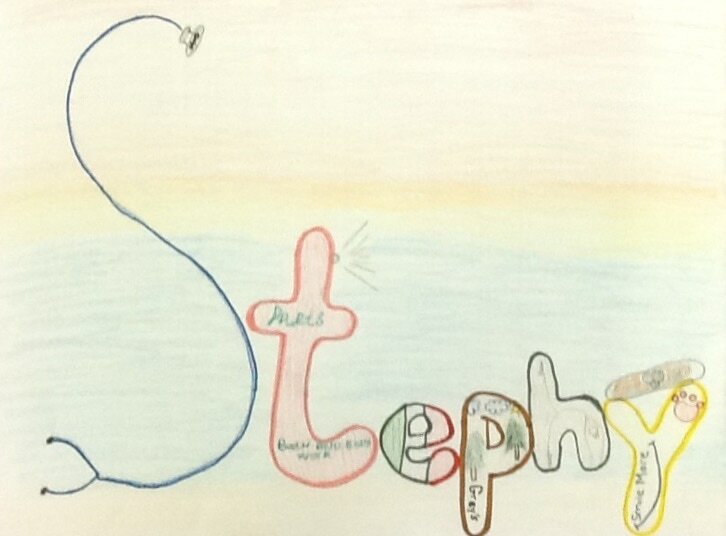 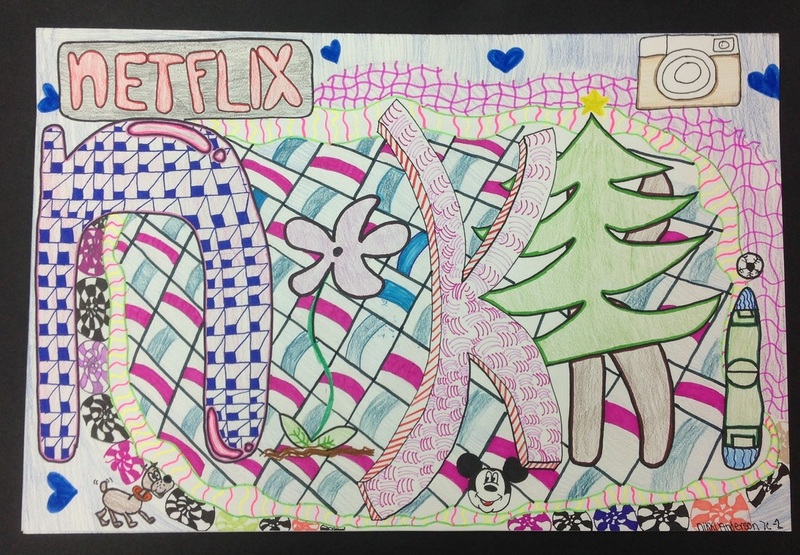 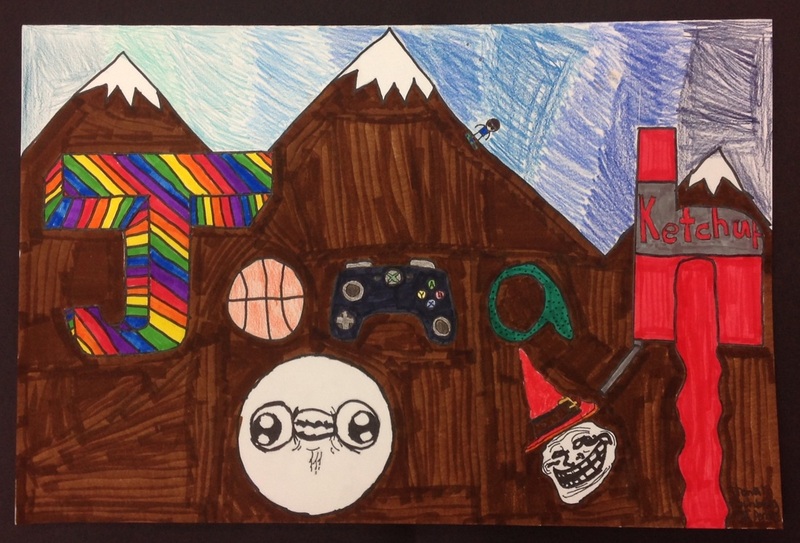 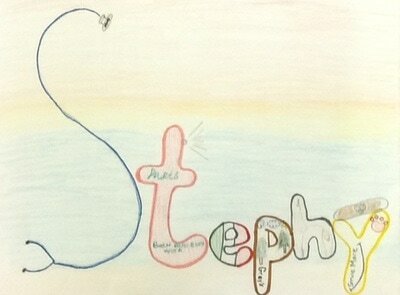 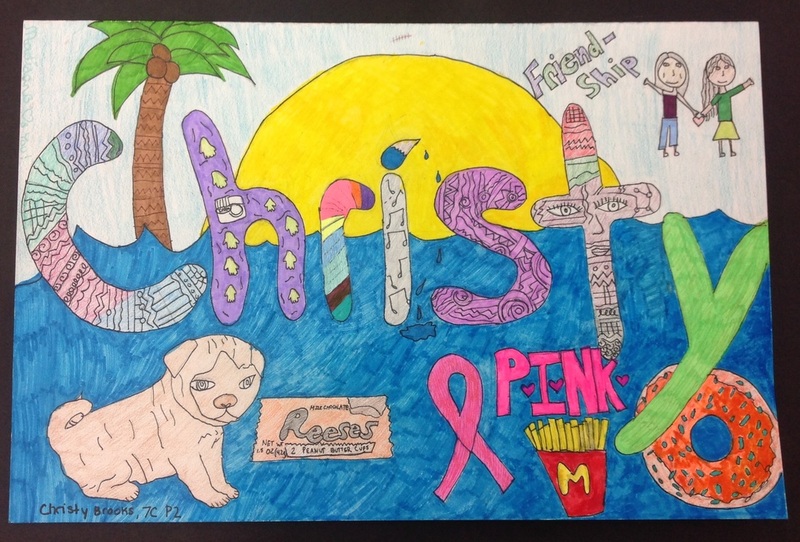 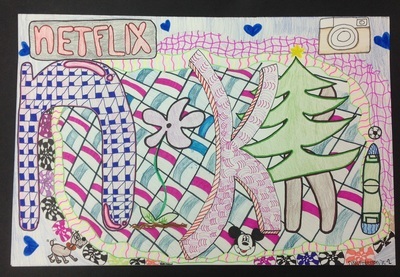 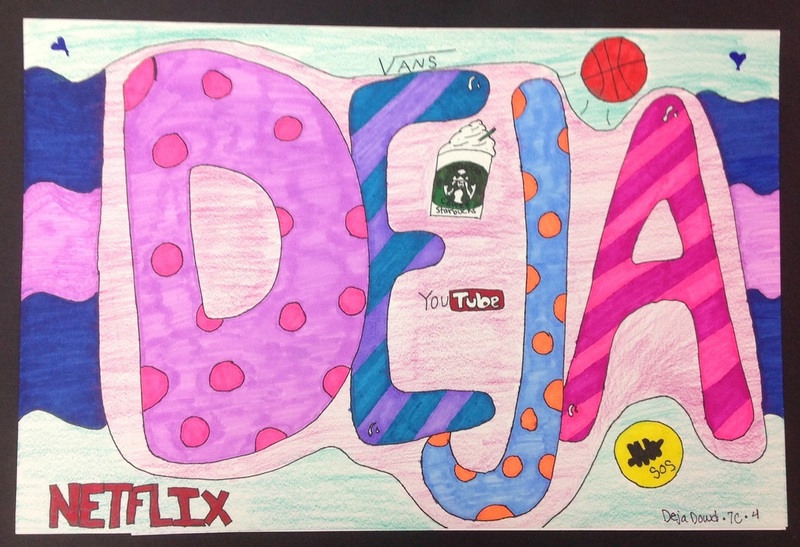 Students used creative lettering and images to illustrate their names and their interests. 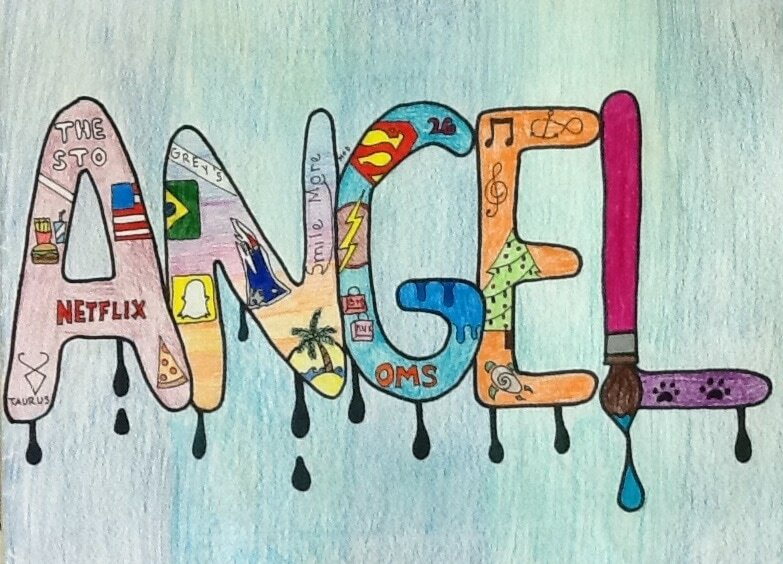 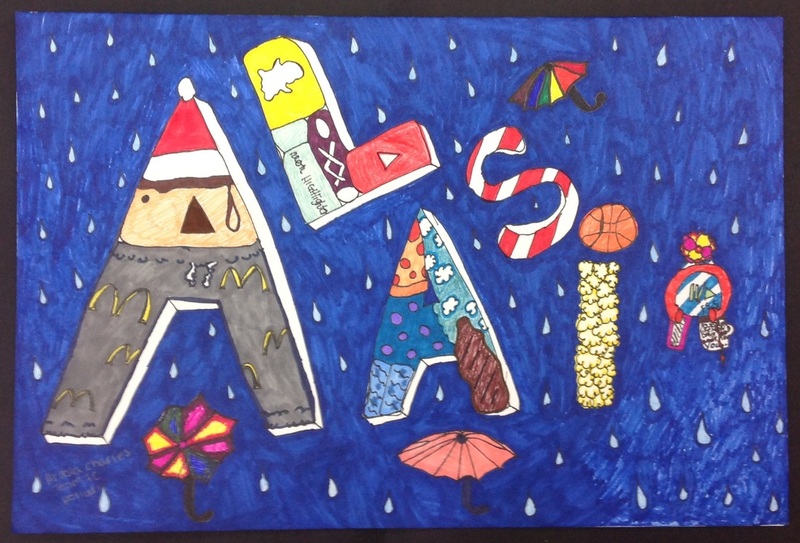 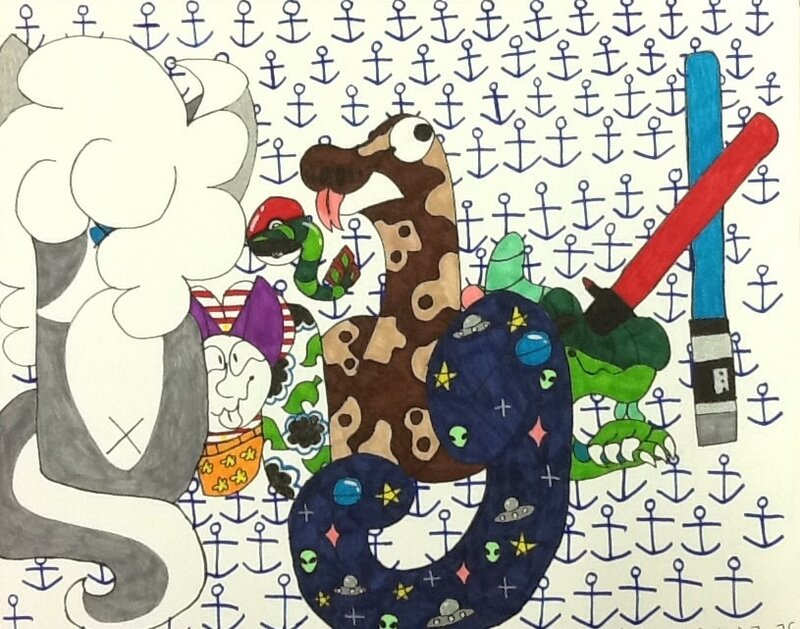 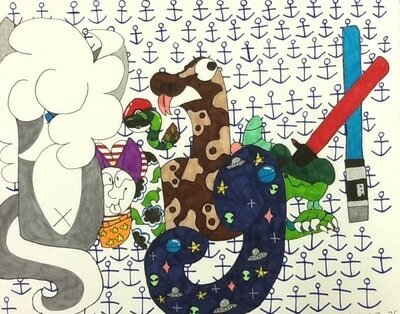 The artists found really clever ways to incorporate pictures and letters together.